I’m not sure when I learned about Indian Mesa, but I think it might have been when I was researching Lake Pleasant Regional Park and the surrounding area for an earlier post this summer, but at any rate, I’ve been meaning to get out there and see it for myself…and decided to do it after the temperatures cooled off a bit. So, this past Sunday, November 9…when the high temp for the day was supposed to be somewhere between 85 and 89 degrees, I started out early with the hopes of getting there and back before it got too warm. Things didn’t start well for the venture, though…the directions were missing a few pretty important details, or maybe I was just a bit dense that morning…so I didn’t arrive at the trail-head quite as early as I had hoped. 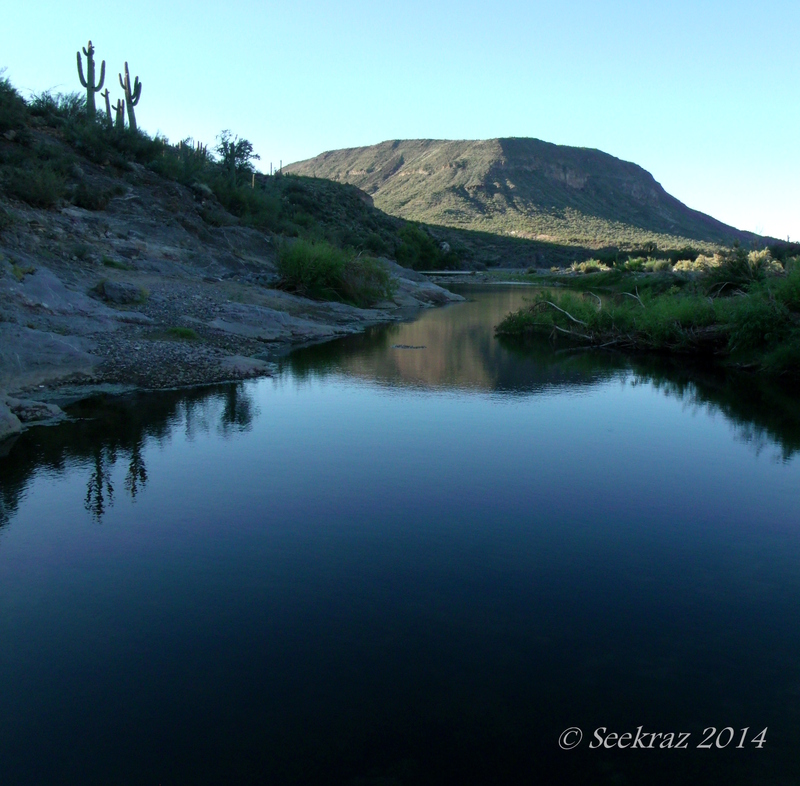 It was still a very nice hike…and it even included water and Cottonwood trees…. If you’re interested in learning more about Indian Mesa, you can click on this link to be taken to the Wikipedia site that covers the subject. You can also click on this link to learn more about the Hohokam people who are thought to have lived there…. If you’d like to view the images in a larger format, you can click on any photograph in the galleries to be taken to a slide show…and then click on the “View Full Size” in the lower right corner of each frame to see the larger version. 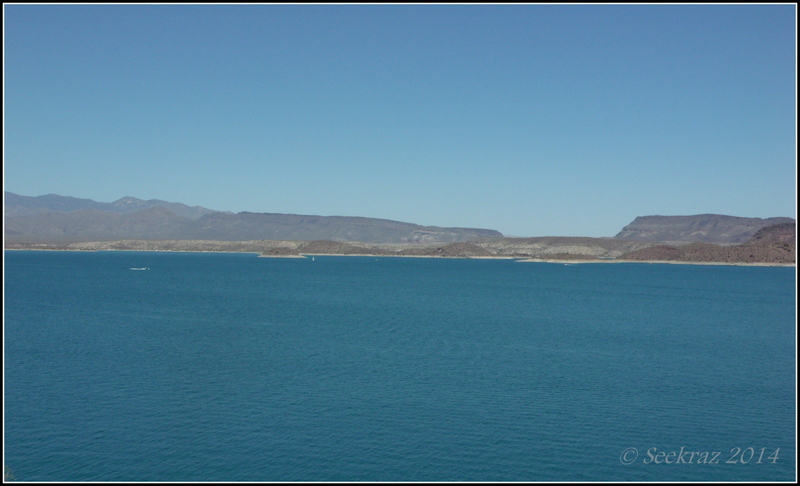 A little bit of Lake Pleasant…. I haven’t been out ON the lake yet, but these are a few more images from when my little one and I went out to the park for a visit a week or so ago…it was more of an exploration, actually…checking it out to see what we might do out there in the future. I had mentioned in an earlier post how it was so strange in my experience to have Saguaro cacti in such proximity to a body of water like this…but here it is again…. 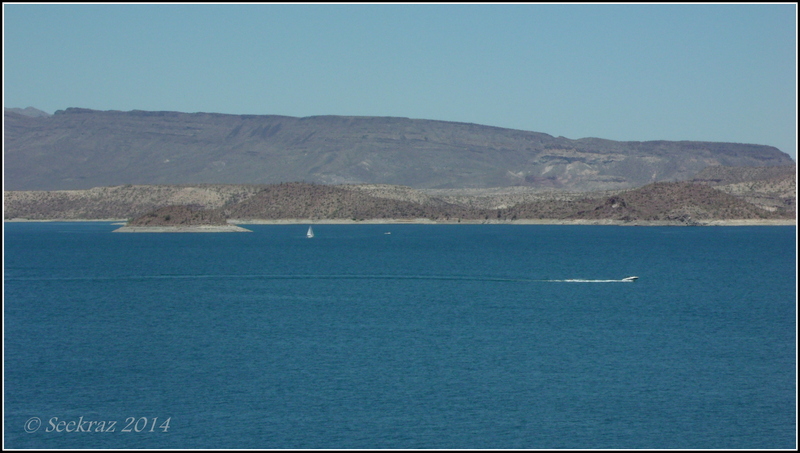 Sailboats and speedboats on the lake….we hope to be out there in a canoe at some point…. 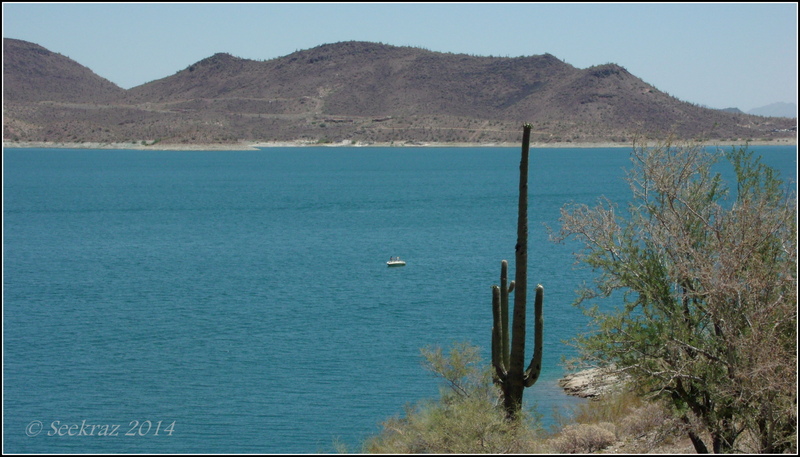 While it’s not a true panoramic shot, comprised of multiple images, it is a wider-angle image that provides more of a panoramic view of a portion of the lake and the surrounding desert…with more of those Saguaro cacti and other desert vegetation. 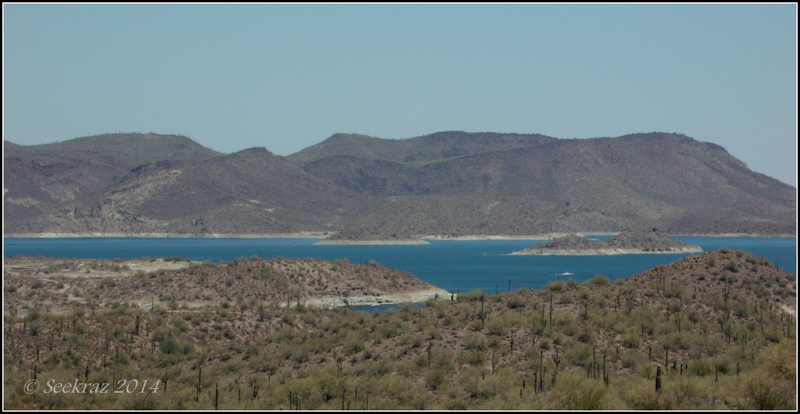 Here are a couple of links about Lake Pleasant Regional Park in case you’d like to read more about it…just click on the blue highlighted text to visit the official park website and the Wikipedia site.